The US housing market remains sluggish, as wages, at least at the national level, have not kept up with the recent price appreciation (see post). The reason for these higher prices is that housing inventories remain tight, particularly in the more desirable areas. A great deal of the inventory has been picked up by "cash buyers" that include domestic and foreign investors (including professional investment firms). These investors accounted for over 40% of the homebuyers in the first half of 2014. The hope is that with this tight inventory levels we will see more residential construction, even if a great deal of it will go to meet rental housing demand. The recent recovery in lumber futures suggests that construction, which has stalled recently, may be improving again. 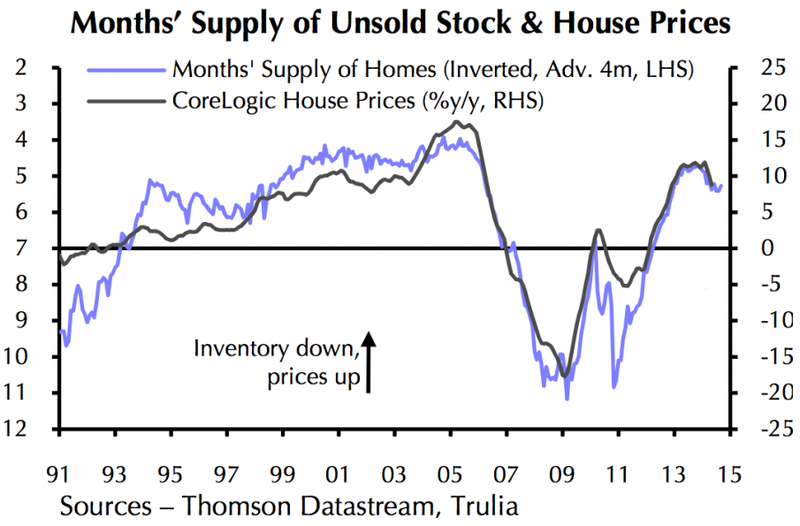 Another indicator suggests that US homeowners are taking advantage of the tight inventory. The prepayment speeds on 30Y FNMA MBS securities with low coupon have picked up again. The 2.5% and 3% 30Y MBS contain mortgage pools of loans with interest that is significantly below current mortgage rates. Therefore prepayments in these pools mean that these homeowners are selling their homes (nobody would want to refinance into a higher rate mortgage). Sales were expected to pick up this time of the year, but some analysts have been a bit surprised at how quickly prepayment speeds recovered. Both of these signs point to improving activity in the US housing market. It remains to be seen however whether this is sustainable or simply a temporary response to lower mortgage rates.